Nestled in the pretty Bay of Naples, Capri Island boasts some of Italy’s most beautiful natural treasures—but its remote location makes access from Rome a challenge. On this tour, begin with pickup at your Rome hotel and reach Capri Island with ease by rapid hydrofoil. 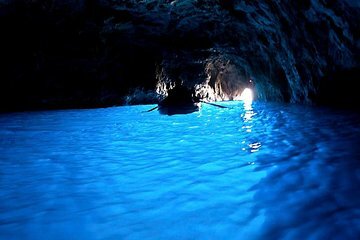 With all your transportation covered and entry fees included, take in top sites of interest including the Gardens of Augustus and the Blue Grotto.